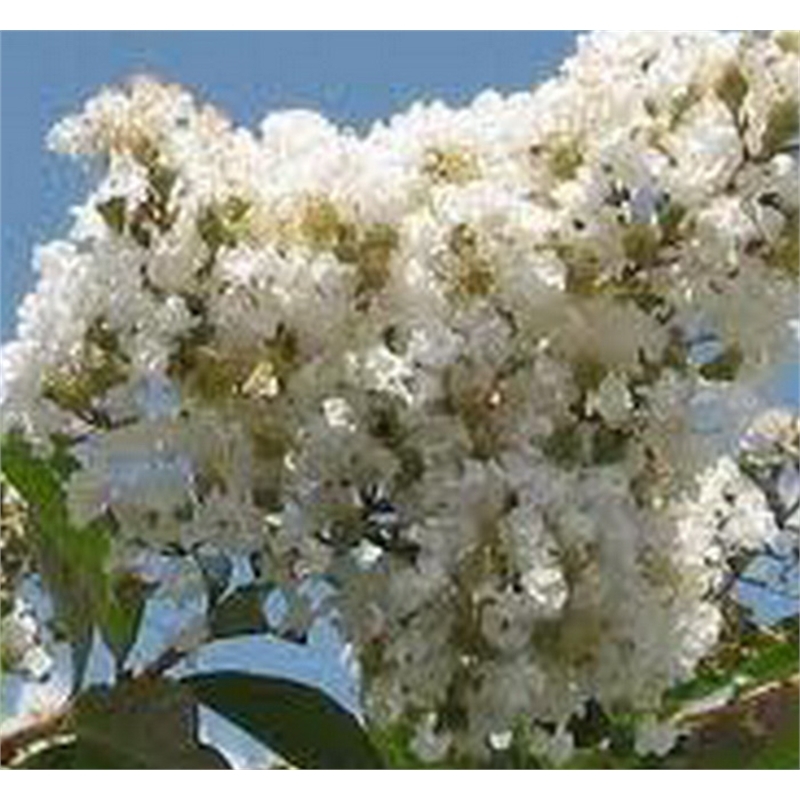 Crepe Myrtles are a must for every garden giving a show all year round. ‘Natchez’ is a beautiful small deciduous tree growing to approximately 6-8mts tall and 6mts wide. It has dark green foliage for spring and summer and turns brilliant dark red in autumn. During summer/autumn masses of small white flowers appear formed in long tapered panicles covering the tree. The bark is also a feature as it ages with brown and greyish mottled smooth bark on the larger branches and trunk. ‘Natchez’ is very hardy, loving the heat. It requires full sun and prefers well drained soil but will take most soil conditions. Minimal water is needed once established. Feed early spring with ‘All Purpose Fertilizer’ to ensure good growth and great flowering. Well draind soil. mulch well.